From aspiring bands in small venues to established recording artists performing in larger venues, Real Time Audio works along side promoters and entertainers to put on a seemless and memorable show! 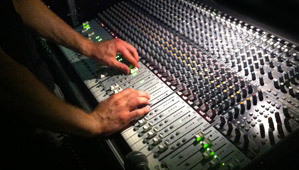 Our techs are well versed in mixing many styles of music and aim to please both the performers and the audience. Whether you need a small PA for your gig or a large sound system for an outdoor festival, we have the system and the audio tech(s) for you! We would be happy to make you a custom quote for your concert.